Make your ID badge photos consistent and remove clutter with this simple canvas backdrop. It extends to 78” tall and is reversible, with blue on one side and white on the other. It’s ideal for use with an ID Maker® system for complete in-house ID badge creation and production. 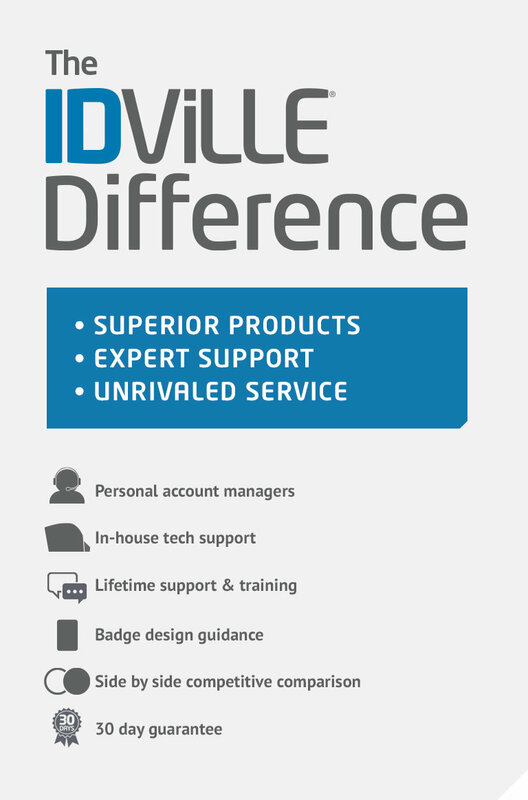 Talk to an IDville expert today for a free selection guide or to request a quote. Blue on one side; white on the other side.